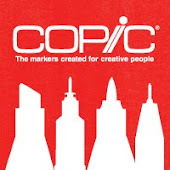 I'm here in Chicago, working at CHA with Copic, helping local stamping stores choose the best markers for you! Tomorrow the consumer show starts. 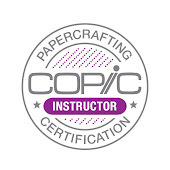 We at Copic are partnering with Splitcoaststampers to provide make-n-takes and all sorts of fun and excitement. 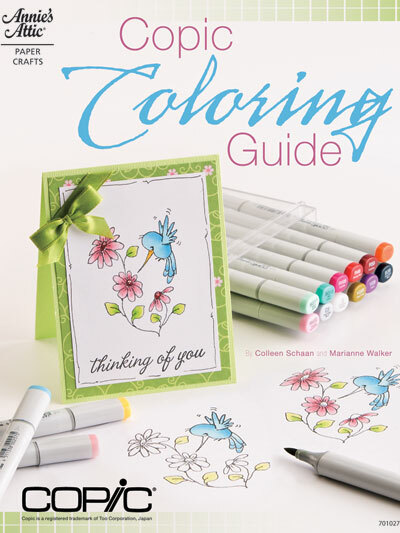 On Friday I will be doing a book signing with Colleen Schaan for our new book, Copic Coloring Guide. We will be in the Splitcoast booth, happy to visit with all you! You can purchase the book there at the show, or bring your own copy, and we will be signing and taking questions, so please join us. What else am I doing in the next few weeks? For those of you who are local, Wed. July 27th, I will be in downtown Eugene, participating in the City of Eugene Drawing Marathon. Come Join me!! Come draw, as I will have markers to play with, or come and watch other fabulous artists create exciting pictures. Wed, 7/27, 6:00 – 9:00 p.m. Suggested donation for downtown events is one can of food/adult or $1/adult benefiting the Eugene Storefront Art Project. Prepare to be inspired as you witness the creation of a unique drawing right before your eyes. Join us for an evening drawing marathon on the picturesque brick plaza. Live models pose in different costumes for long-time professional artists as well as new to the craft drawers; using charcoal, oil sticks, crayons or pencils. Enjoy Soul Jazz, a Eugene-based trio from the Jazz Station. Finished drawings will be hung on an impromptu clothesline on Kesey Square with the proceeds going to benefit the Eugene Storefront Art Project. I will also be demoing at the Lane County Fair later this Summer, so look for more details in the next few weeks. OK, I need to get back to work. Come see me this week or at one of my many local events over the next few weeks. Copic Color is a place for people who collect Copic markers to keep track of the colors they have or want, to create custom color palettes to share with their friends, and to post artwork made with Copic Markers. You can easily sign up on the main page, then create your own use profile and collections, or wander around and see what art and color palettes people have generated. See featured artist interviews and more. View artwork from lots of different creative categories. Upcoming, see tutorials and more! Best of all, Copic Color is optimized for mobile devices, so your color collection can travel with you. It can even help you locate the nearest Copic dealer. So, what are you waiting for? Check out Copic Color today! Watch the short intro video to see all the exciting features Copic Color has to offer. Wow! 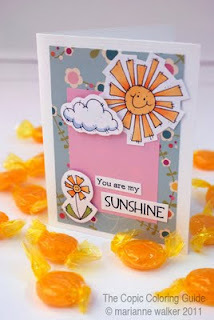 I can't thank you enough for all your valuable comments from the blog hop last week! 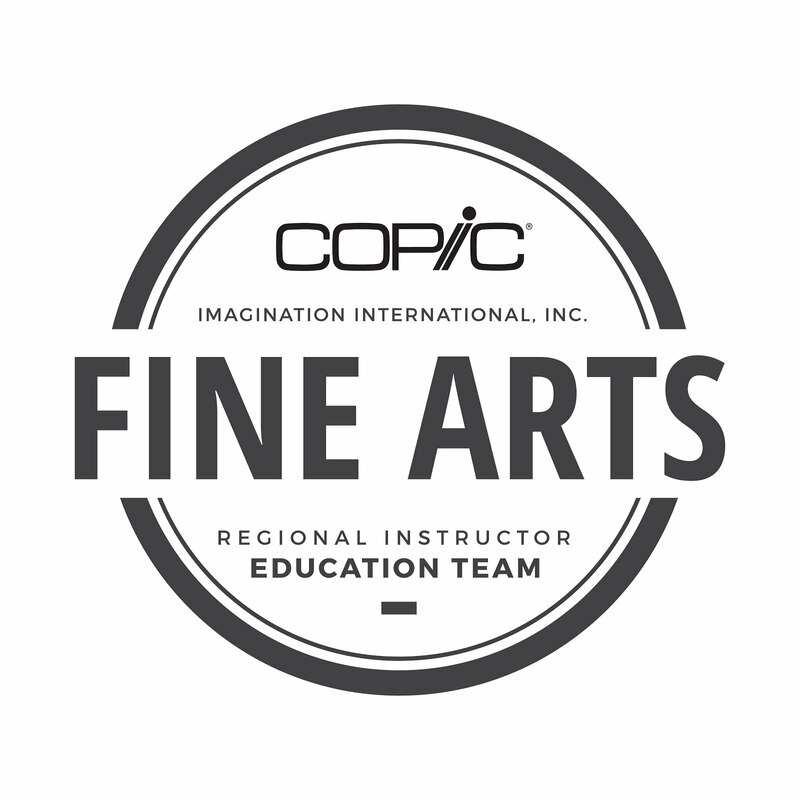 Your opinions help us shape the direction of our content for many Copic users around the world. It looks like requests for more tutorials about shadows, highlights, and understanding contrast are in highest demand, along with skin, hair, and blending. I have lots of excellent posts that I have done in the past, so until I get some new tutorials written, please dig around in my archives or search with the search feature for this blog. Love the card - and thanks for a chance to win! I love tutorials on coloring people, hair, skin, etc., because it doesn't some naturally to me. I would love to learn more about shadows, shading, depth, etc. - that always gives me the most trouble! Again, congrats to Lori! And, thank you all again for your valuable input. Have a great week! A quick update before the weekend, as we have a few classes coming up in the next few months. If you are interested, then you need to register early, as some of these classes fill very quickly. There is still space in our classes before CHA, so if you haven't taken a Certification yet, now is the time! Also, don't forget to leave a comment on Wednesday's post to win an autographed copy of the Copic Coloring Guide book! For those of you who enjoyed the clay video I posted a few weeks ago, here is another one, made by the same creative group of animators. I'm sure you will like this one as much as the last one. By the way, if you aren't our friend on Facebook, you should check out the Copic page and become a fan. On there you will see lots of great prizes, giveaways, contests, and ideas, so check us out today! We are also on twitter. You can follow me as ilikemarkers to see what I am up to, or, you can follow Copicmarker for all of the other exciting things that we do around Copic headquarters here in the US. If you have not participated in the blog hop from yesterday, you can still leave a comment on yesterday's post for a chance to win. Thank you for all the helpful comments about tutorials and information you would like to see from Copic. There are exciting things in the works, beyond this blog, so your input is more valuable than you know. Thanks for stopping by! Whew! I am finally back from an exciting week down in Los Angeles for the annual Anime Expo show. I had two classes filled to capacity at over 300 people! I am so excited that people from so many diverse backgrounds have fun using our markers. Today I am thrilled to be part of a blog hop for the Copic Coloring Guide! This book has been out for about a month, and everywhere I go, I have people tell me how thrilled they are with what we jammed into that book. All I can think about is how much more we could have put in! The world of what you can do with Copic Markers is sooooo big! This hop includes work by many of the designers who were in the book, so be sure to visit everyone on the list for ideas, tidbits, and most important...BLOG CANDY!! The Copic Coloring Guide the perfect resource for beginner and intermediate coloring artists alike. The book contains information about the different styles of Copic markers, explains the coloring/numbering system, details how to pick good blending groups, teaches a number of blending techniques through illustrated tutorials, and de-mistifies the colorless blender marker. And that's just in the first 18 pages! The book also contains over 40 beautiful coloring card projects separated into beginner, intermediate and advanced skill level. Each card project includes step-by-step coloring AND assembly instructions... along with supply lists and manufacturer information to make recreating the projects simple and easy. The book is published by Annie's Attic, a division of DRG, also the publishers of the popular CardMaker magazine. Click HERE for more information or to purchase the book (also available in PDF electronic download). I have one project stepped out in the book. When Colleen and I were finishing the book I asked her what card projects we needed more examples of, and her answer was that we needed more simple, easy projects, so I submitted a handful of cards, many of which just didn't match the feel we were going for, except for this easy card. My adorable card is very simple indeed! 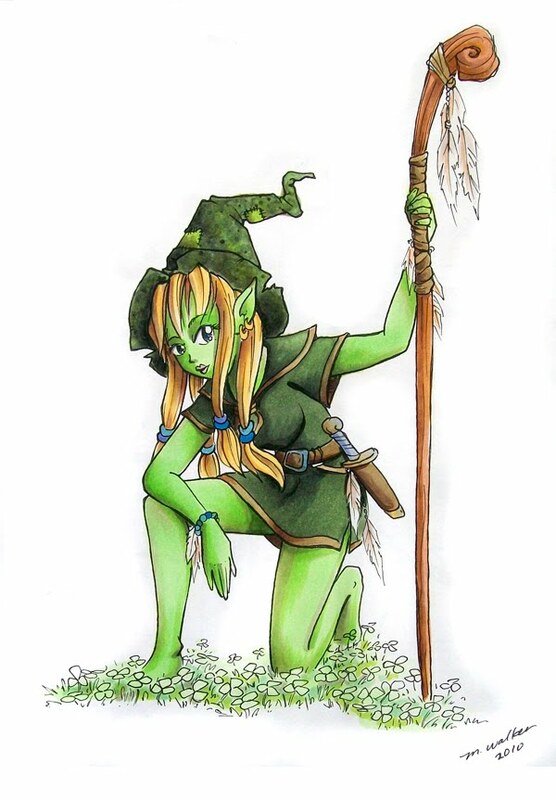 I wanted a project that anyone could have success making, and feel good about their Copic skills. I think I only used 5 colors to make this card. And now, how would you like to win an AUTOGRAPHED copy of the book? Each of the contributing designers is hopping today and each one is giving away a copy of the book... signed by both authors AND the designer. To be eligible to win, please leave a comment on THIS post telling us what you wish to see more tutorials on, and what gives you the biggest struggles when coloring. I want to be able to help you have the best experience possible and I want to know anything that you are finding difficult. Posting will close at midnight on Saturday (July 9) and the winner will be posted on Monday, July 11. Make sure to visit each of the designers blogs to see their favorite project from the book and for a chance to win your own autographed copy! Whoever wins from my blog will also get a special surprise from Copic, so get to hopping!